In this celebration of Italian life and culture, seventeen-year-old Alessandra returns for the summer to Italy, where she grew up. Pressured by her parents into babysitting a rebellious twelve year old—ruining holiday plans with newfound American friends—Alessandra resigns herself to a tedious summer in Positano. Her babysitting gig, however, turns out to be anything but boring! Not only does Alessandra fall for the handsome son of the Bertolucci family, renowned for their limoncello production, but when a body mysteriously turns up on the beach, the influence of organized crime in Positano becomes frighteningly real. 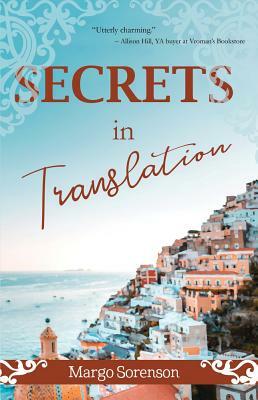 As Alessandra is drawn further into an elaborate conspiracy, she must risk everything to protect herself, her family, and those she loves, and in the process finds herself—and her Italian heart.